MyPC is the leading web based computer booking solution which provides complete control over shared computer resource usage. Widely used within education and public libraries, MyPC allows users to view computer availability and make online reservations via a computer, tablet or smartphone. MyPC offers many booking methods including walk-up, advance, booking with staff and queuing. 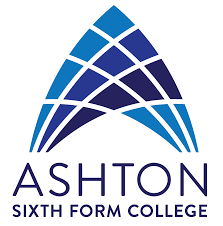 MyPC also features a block booking facility for staff and students. MyPC allows you to make efficient use of computers in all sites and locations. You can see at a glance which computers are available and you can plan for future procurement based on real usage data. MyPC messaging facility allows staff to communicate with users remotely, removing the need to physically approach the user avoiding the possibility of confrontation. MyPC has a wide range of reports to help you identify and capture computer utilisation and user booking statistics. MyPC also reports on faulty computers allowing you to pinpoint resources which cause downtime in your organisation. MyPC allows you to view availability and filter computers with the necessary hardware and software you require. MyPC has a spreadsheet look and feel, allowing for easy point and click booking. MyPC provides you with complete flexibility to configure the types of booking methods you wish to implement to suit your organisation. MyPC works with most major platforms, web browsers and also supports multiple languages. Make booking and administration easy for staff and users. MyPC features a spreadsheet look and feel allowing for easy point and click booking. MyPC also features a simple booking interface for kiosks, iPhones, Android devices and tablets. MyPC integrates with your library management system to inform users of their library fines and outstanding items helping you to get books back on time and recover costs. MyPC allows you to show computer availability to users by displaying a live screen indicating which computers are free to use. MyPC also features a live queue monitor so you can see when your computer session is due. The MyPC API allows organisations to develop and customise their own availability monitor screen. MyPC is 100% web based making administration, booking and reporting simple to access. MyPC also features automated reports allowing you to specify the information required and the people who receive it. These reports can be emailed daily, weekly or monthly and accessed from anywhere. MyPC Maps is a web based optional add-on module designed to work in conjunction with the MyPC resource state API. 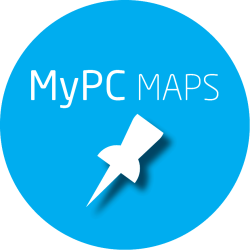 MyPC Maps provides a simple way to design and present a floor plan of your chosen site(s) to clearly illustrate the location and availability of your bookable PCs. MyPC Maps will show which PCs and Macs are In Use, Reserved, Available and Not Available all in a colour coded format. Scrolling maps can also be set up to reflect multiple maps of different locations on the one screen. iTS has worked closely with the developers of the leading print management solution, PaperCut MF, to provide public libraries with an integrated print and copy solution. In public library environments this integration removes the need to use the PaperCut MF popup client for authentication and ensures that the library patron logged on to the PC (via the MyPC client) is charged for their print jobs. This integration also permits users to utilise their library management system credentials to logon to multi-functional devices, kiosks, value loaders and the PaperCut MF portal. If the library charges for PC usage MyPC can also offer an optional Charging Module which together with the PaperCut MF integration allows users to pay for PC usage using the funds in their PaperCut account. MyPC definitely ensures that all our students are empowered to manage their time and plan their workload more effectively and without the frustration and panic which comes from searching for that elusive “free‟ computer at crucial times, and we all know that students always leave their work for submission to the very last minute! We pride ourselves on our technical support team's professionalism and experience. Customers are welcome to contact support for advice and assistance and to request access to our password-protected download site. ITS provide forums for customers to discuss their usage of our software solutions and make suggestions for their improvement. Members can also browse and search online to catch up on previous discussions. We have compiled some answers to your questions about MyPC in our extensive knowledge base; if you find that your question is not answered here then please don't hesitate to contact us.